Hydrilla is a non-native aquatic plant that has spread rapidly in Lake Austin since it was first discovered in 1999. 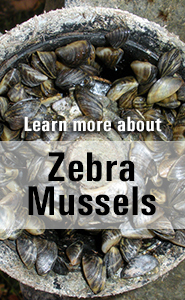 It threatens water intakes, recreation and navigation on the lake. The City works with its partners to control hydrilla using all appropriate options. 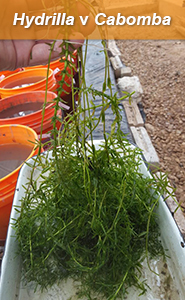 The City of Austin, Texas Parks and Wildlife Department, Lower Colorado River Authority and Friends of Lake Austin work together to control hydrilla using a management plan. While there is little chance that hydrilla will be eradicated from the lake, this plan provides control through the use of sterile grass carp and winter drawdowns. Harvesting and herbicides are options, but don’t provide the long-term, deep-water control of the fish. Hydrilla coverage varies over time: up to 320 acres by 2002, it dropped to 8 acres by 2005, due to the stocking of 8,000 grass carp. Key Contact: Brent Bellinger, Ph.D.